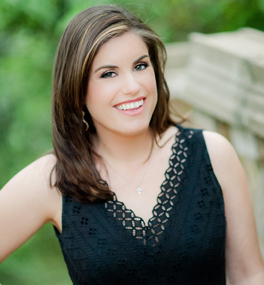 Samantha is a native Austinite with over 12 years of wedding and event coordinating experience. She graduated from Texas A&M University in 2008 with a B.B.A. in Marketing. After living in northern California for four years, while her husband Brian served in the U.S. Air Force, they moved back to Austin to pursue her life-long dream of owning her own event planning business . They now currently reside in Lakeway, Texas with their three little ones, Abby Grace, Bryce, & Austin. My passion for weddings and events began in high school when I worked at a local Austin bridal boutique selling wedding dresses, but my heart for helping and serving others has been a lifelong calling and blessing. On my journey to establishing Samantha Elizabeth Events, I’ve had the privilege to work under and learn from top-of-the-industry coordinators in both Austin and Sacramento, California, while becoming a certified wedding planner. My time spent in each of these two eclectic capital cities, learning from the best and helping coordinate some of the most extraordinary weddings, has shaped my style, passions, and zeal for helping others have an unforgettable experience. And while my love for wedding planning undoubtedly involves coordinating all of the sweet elements that go into planning this special day, my true joy comes from knowing that I’m helping to remove the most stressful parts of a wedding for the couple so that they can, instead, truly focus on the meaning of their marriage. I consider it an extreme honor and privilege to walk alongside you as we prepare to share your story with others.